Only half a year old, and already forming a nice thickened stem. Around 50 centimetres high. This member of the Malvaceae (former Bombacaceae) family was described by Karl Moritz Shumann in 1886. It is found in the North-eastern Brazil, growing in the dry forests in well drained soil with little water and some sun. 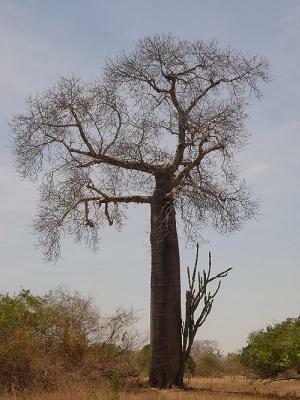 The stem can grow to 1,5 meters in diameter and 27 meters height. The flowers are white to pink. Soaked; the seeds will swallow from 4 grams to 90 grams in 15 minutes. Within this mass of jell lies a 4 centimetre rather soft seed.